Looks great in Outspoken Brewing pint glass! 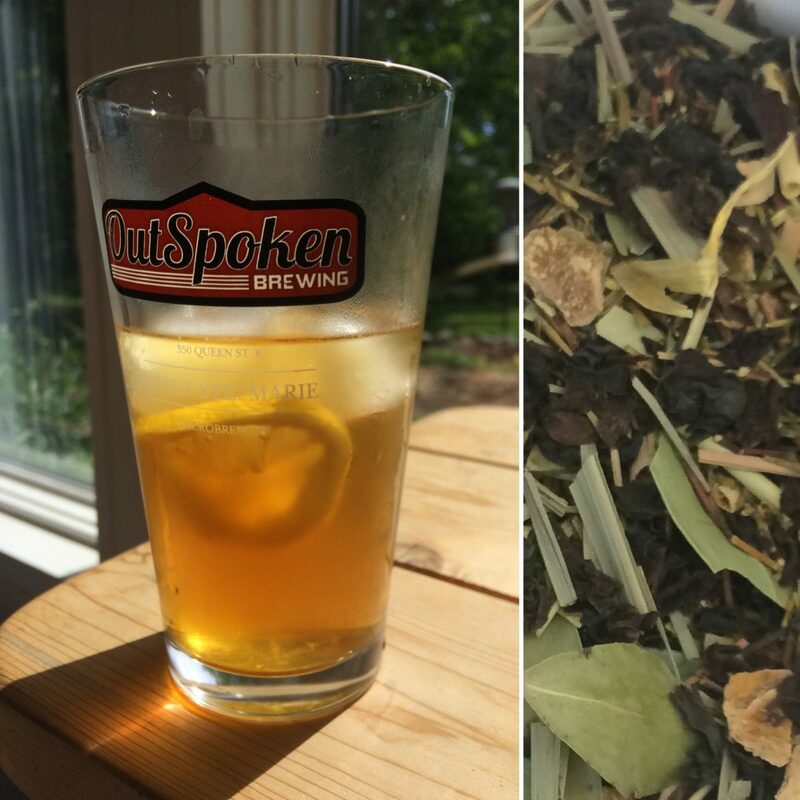 Mix loose leaf tea with filtered water in a 1:4 ratio in glass pitcher or jar. Leave on counter overnight, or for 6 to 8 hours. Strain through a mesh strainer or cloth into glass storage jar or pitcher. This will leave you with a concentrate that will keep for a couple weeks in your refrigerator. You can make a pitcher or a glass at a time by diluting one part concentrate to two parts water (adjust ratio to taste). Add ice and a slice of lemon (optional). If you prefer a sweet tea, you can add a shot of simple syrup/maple syrup/cane sugar/honey after diluting. Fresh mint or other herbs can also be added before serving. Experiment! Have fun! The possibilities are endless.